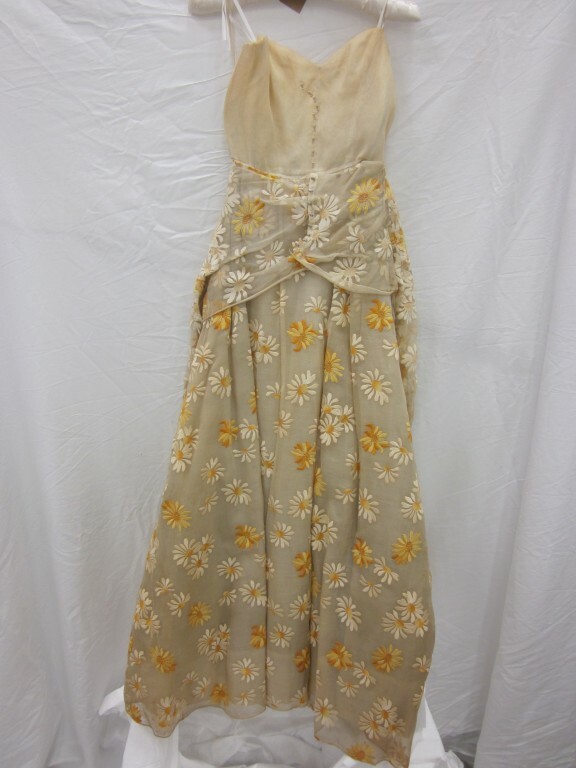 Evening dress of white organdie with yellow and white embroidery, in daisy design. 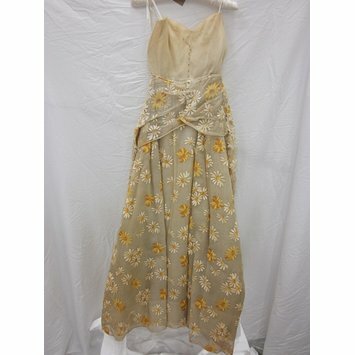 It has a high neckline, crossover bodice, elbow length sleeves. Full flared skirt. Gloria Guinness (nee Gloria Rubio y Alatorre, 1912-1980) was an elegant socialite and writer of the mid 20th century. She owned seven homes, with a full wardrobe in each so that she would never have to pack or wait at customs. She spread her patronage widely, and amongst donations to the V&A of pieces by Dior, Balenciaga, Givenchy etc., are pieces by lesser known couturiers such as Chaumont and Lafaurie. Evening dress of embroidered organdie, 'Ardele', designed by Antonio Castillo for Lanvin, Paris, May 1959.